Is your son or daughter more of a hands-on learner, a person who’d rather dig into something they can actually feel, touch, pull apart, and physically explore, as opposed to just reading about or studying the topic? Enter the Snap Circuits Arcade Electronics Discovery Kit by the award-winning Elenco Snap Circuits Company. And if your child enjoys playing arcade games and has ever wondered how such games are created, then the Snap Circuits Arcade kit will not only show them the answer, but allow them to create their own electronic games as well! This exciting kit is perfect for young talents who love to learn with their hands and experience things first-hand. Snap Circuits provides your child with an introduction to the world of electronics while keeping things simple and safe. The set uses pieces that snap to a grid base piece in a rows and columns format which is easy to assemble and take apart. 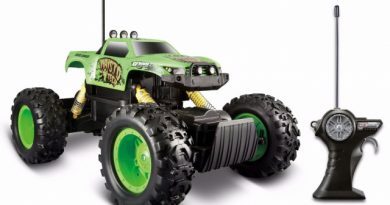 It requires a power source of 3 AAA batteries which safely allow for the electronics to function. The set includes 30 separate pieces, including a pre-programmed internal PICAXE microcontroller, a LED display, a programmable word fan, and a multi-colored light orb. All pieces are easily identifiable by color and function with traditional male/female connections. Don’t be surprised when your daughter shows off the disco ball projecting a variety of colored lights or your son shows you the message he has programmed to appear in a spinning fan. This kit contains over 200 projects, all presented in an easy-to-understand manual with full color illustrations. The different projects are setup to build upon the previous concepts. This allows for an increase in difficulty and reduces the likelihood of boredom taking place. Each concept is also explained so that your child gets an understanding of circuitry and electronic components. Enterprising children can even invent their own projects using the pieces included, providing near infinite opportunities for fun and creative discovery. 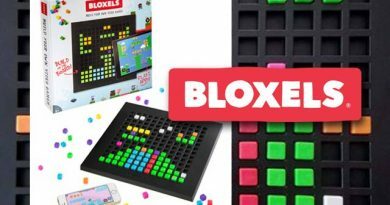 Including more than 20 build-and-play games, your child will never ask you to take them to the arcade again – not when they can make their own right at home. This kit supports a STEM curriculum, combining academic concepts and problem-solving skills with fun and creative activities. Bring education into your home and truly engage your child in practical science. Gone are the days of boring textbooks and theory. 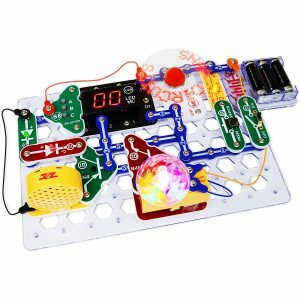 Exploring the fields of electronics, engineering, physics and circuitry, this kit will give your child the chance to learn by experience and application. Recommended for everyone aged 8 to 108, why not get involved in the fun yourself? Nothing helps more in building cooperation than working together to achieve a goal. This facilitates excellent teamwork and sharing opportunities among siblings and peers. With challenging yet understandable projects being graded from easy to advanced, Snap Circuits Arcade provides suitable projects for all levels. See the sense of achievement and satisfaction on your child’s face when they finish a project or when they are playing a game they were able to create themselves. There is no additional software or programming required for any of the different games or functions. This set can also be combined with other sets for more advanced electronic fun. 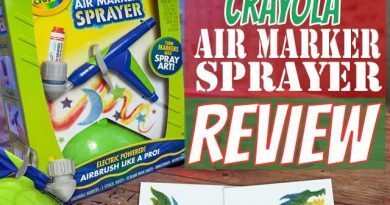 Your child will get years of playtime out of this kit.